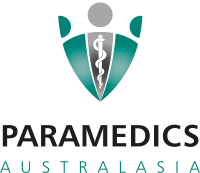 New Zealand Fire Service and Paramedics Australasia are working collaboratively to bring you 'Practical Stategies for Working Together'. Join SPA Whitireia and Paramedics Australasia NZ for an evening at Trentham Fire station with their volunteer & full time fire fighters. The evening will include fire appliance and equipment familiarisation, discussion around how fire crews approach jobs, and we will explore scenarios to help promote optimal working relationships between ambulance staff and the fire service on jobs.